The follow up single to Waterloo in 1974 was in many countries Honey Honey but it was not as succesful. It was nowhere a number 1 hit but it did get into the Top 10 here and there: Germany (number 2), Austria and Switzerland (both number 4). The band did have a number 2 hit with Hasta Manana at the end of 1974 in South Africa but the song was just number 30 in Italy. No more singles would be released off the Waterloo album and ABBA started recordings for a new album late August 1974. 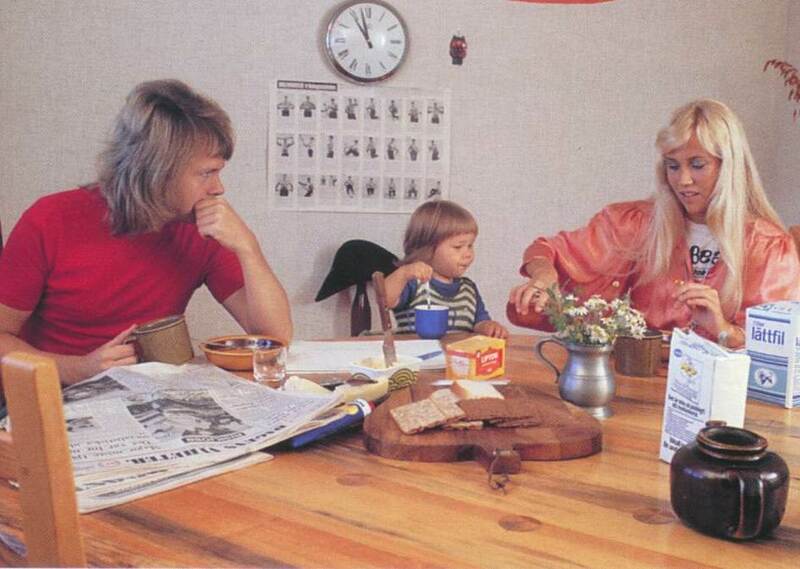 These pics show the ABBA members at home in Vallentuna that summer of 1974.